Kyle manages work in the west coast region, where most of the current projects focus on extraction activities in California and Colorado. He is constantly managing relationships and collaborating with allies, including community groups, other researchers, and both local and national advocacy groups related to oil and gas development. FracTracker Alliance was originally developed to investigate health concerns and data gaps surrounding western PA fracking. Today, as a non-profit organization, FracTracker Alliance supports groups across the United States, addressing pressing extraction-related concerns with a lens toward health effects and exposure risks on communities from oil and gas development. They provide timely and provocative data, ground-breaking analyses, maps, and other visual tools to help advocates, researchers, and the concerned public better understand the harms posed by hydrocarbon extraction. 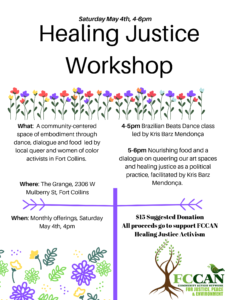 This is an opportunity for FoCo grassroots groups to learn how FracTracker can continue to support our efforts!